It’s the original full moon party! Close to shopping, restaurants, and tattoo shops! I went for the full moon party and for that the location is perfect! The location. Right on the beach where the Fullmoon party is. Pool right on the beach. Very amazing staff super helpful and friendly. 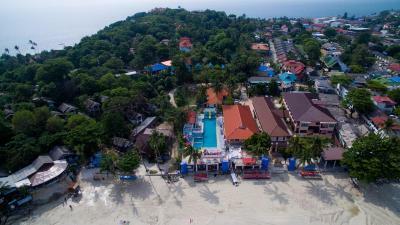 Great location on the full moon party beach. 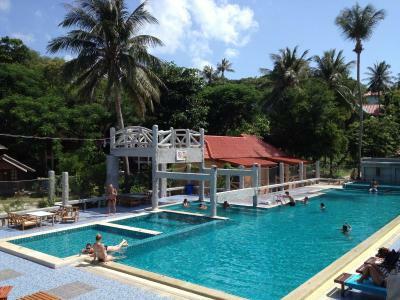 I stayed here when full moon party was not on so was quite relaxing and got a good rate too. Staff were lovely and very willing to help with anything. They will clean your room if you drop your key to reception by 3pm each day. Restaurants, massage places and the beach are within 1-2 min walk I had a room at the very back so was away from any noise and I also had a little bit of a view. Room was basic and clean with good Aircon. 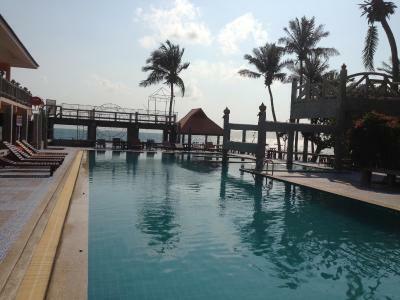 I loved the pool that we had access to and that it was right on the beach. It also had many bathrooms in the hostel so I never had to wait. 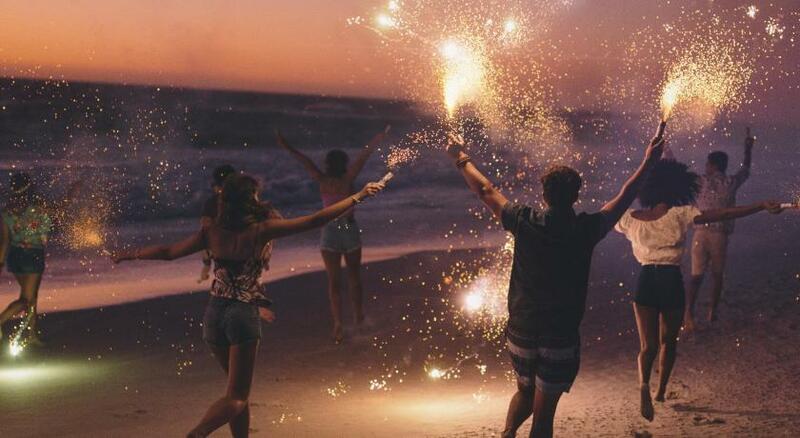 If you wanna go just to stand one night (like the full moon night party) like I did it's ok, but not for more than just a night. Staff was fantastic, beds were comfy, pool was perfect. Definitely would stay again. Great value for money. Lovely English speaking helpful staff that can't do enough for you. Great value meals in the restaurant, the cheapest that we found, so great if you're on a budget! Clean spacious rooms with comfy beds and a safe. Very short walk from hotel straight onto a beautiful litter free beach with great views. The sand on the beach really does have the finest sand! Really good location, lots to see and do and can book easily from the hotel! Hotel happy to look after bags and you can still use public amenities after check out. 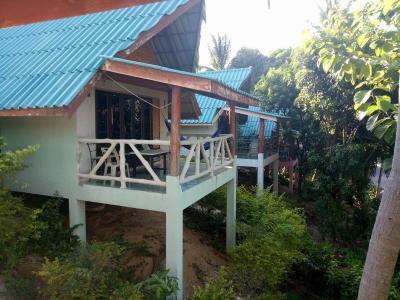 Paradise Bungalows This rating is a reflection of how the property compares to the industry standard when it comes to price, facilities and services available. It's based on a self-evaluation by the property. Use this rating to help choose your stay! 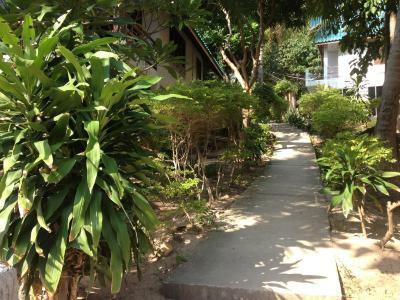 Paradise Bungalows is located on Haad Rin, a beach where a monthly Full Moon Party takes place. 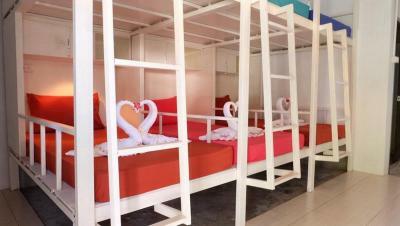 It offers modern air-conditioned rooms with a private balcony. Guests can enjoy free Wi-Fi in public areas or unwind in an outdoor pool. 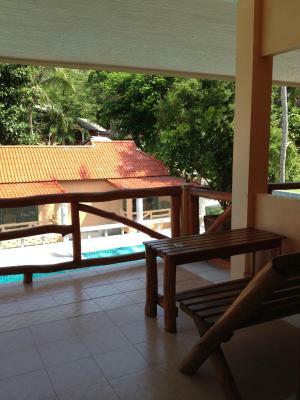 The property is a 5-minute walk to Haad Rin Pier and a 25-minute drive to Thong Sala Pier. Phaeng Waterfall is a 30-minute drive away. 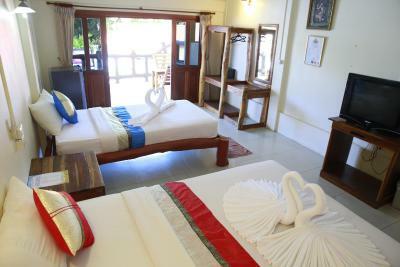 Furnished with simple decor, rooms at Paradise Bungalows feature views of the garden or the pool. Free toiletries are included in an private bathroom. Fax service and safety deposit boxes are available at the front desk. 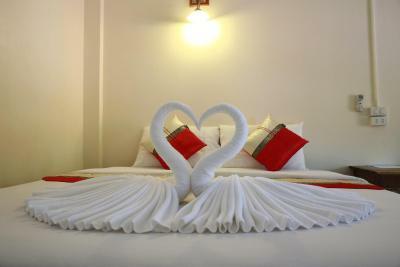 For guests’ convenience, the hotel also offers laundry services. Free private parking is possible on site. 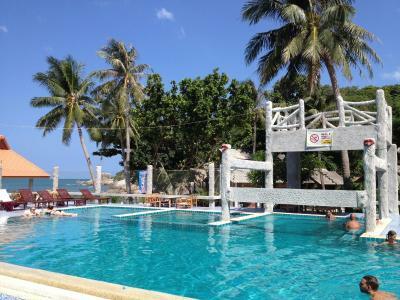 Located on the beach front, Paradise Restaurant serves a great variety of Thai and Western Cuisines. Beverages can be ordered at the bar. When would you like to stay at Paradise Bungalows? 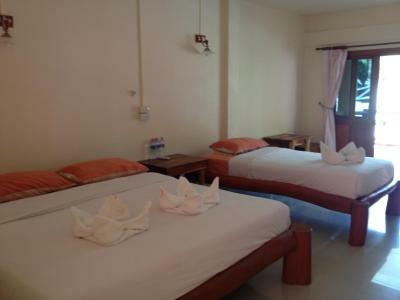 Air-conditioned room features a private balcony with sea view, a cable TV and an private bathroom. 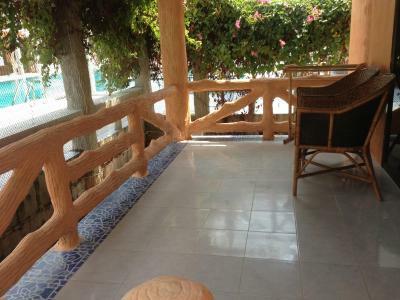 Air-conditioned room features a private balcony with garden view and an private bathroom. Hot shower facilities are included in an private bathroom. House Rules Paradise Bungalows takes special requests – add in the next step! Paradise Bungalows accepts these cards and reserves the right to temporarily hold an amount prior to arrival. Please note that during the peak season, the property requires a 30% deposit. Please contact the property directly for more information. Blanket not sufficient for 5 ' 5" height person. Bunk bed is so hard and not soft. Pillow is not soft and just ok. It is in the heart of hadrin beach. Very good location. Room was super clean. AC works well and all day long. Have a nice balcony with street view. Staff was great. Everything was okey. Before full moon party, some customer made own night party, nobody can sleep. Room doors was so pure that voices came in, same if doors was open or not. Full moon party time it's normal that nobody sleep in that hotel. Our first room aircondition was broken. Every room had same problem: TV was not working. 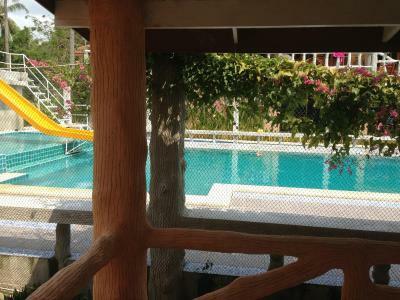 Beach was very near and swimming pool was nice. LOVE THIS PLACE!!! 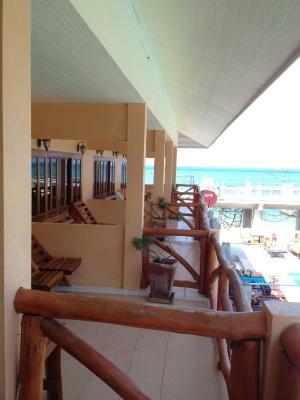 Right on the beach, super easy to book, always greeted with many smiles, RIGHT on the beach!! And you can rent a motor bike here! It’s right in the center. Highly recommend!!! It look like they split in two hotels. I've been here before in a room almost at the beach. This time I got one "hillside" and it was like 4min walking from the beach, in other building, which was unexpected. AC wasn't enough for the room and the bathroom is very poor. The location is pretty much the only reason to book paradise bungalows. 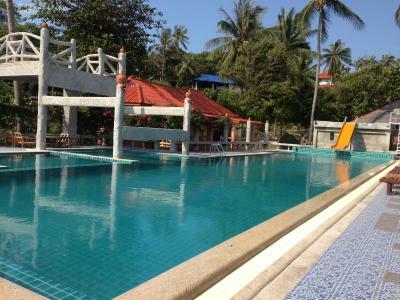 Very well located in the middle of the full moon party - Don't book if you want to sleep on a quiet comfortable place. 24 people in one room. Good location and food. Staff are nice and friendly. The noise but it was expected! 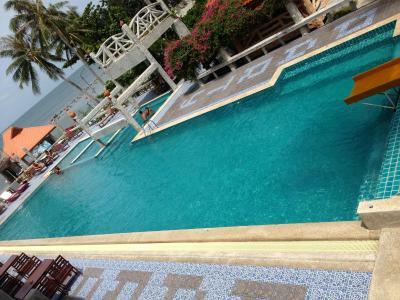 Perfect location for nye, right on the beach...massive room & balcony overlooking the pool, music played loudly but it’s a party hotel right on haad Rin beach so we expected it & didn’t bother us!